Bulterman, D.C.A, & Hardman, L. (1995). 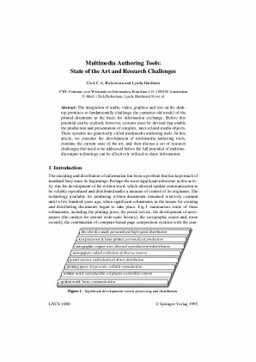 Multimedia authoring tools: State of the art and research challenges. Lecture Notes in Computer Science, 1000, 575–591.